Structural transformation needs to be at the center of any realistic development agenda. 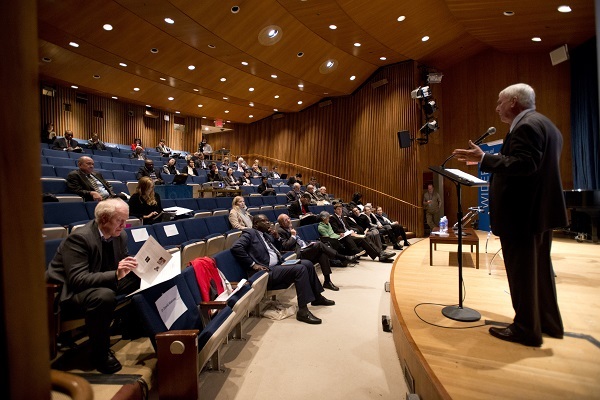 The WIDER Annual Lecture 18 was delivered on 18 November at the UN Headquarters in New York. 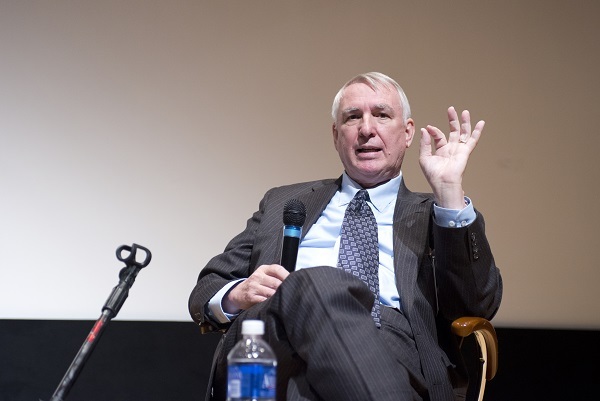 The lecture, given by Professor Emeritus C. Peter Timmer of Harvard University, focused on the topic of structural transformation, especially within the framework of the post-2015 development agenda. It has also been published as a publication. Timmer argues that structural transformation—the process by which labour moves from low-productivity to high-productivity sectors—is the defining feature of modern economic growth. As such, a successful structural transformation is crucial for poor countries seeking a sustainable development path. For Timmer, the key to success lies within a simultaneous transformation of the agricultural sector. In many developing countries agriculture employs more people than all other sectors combined. Productivity of agricultural workers increases as farm sizes grow, so it is important to shift people from working in agriculture and small farms towards more productive sectors. Policy makers need to ensure that this transformation takes place because people are drawn to other higher productivity jobs, rather than because they are pushed out of agriculture and into precarious, informal, low-productivity work. Structural transformation and the modernization of agriculture will be key to meeting any post-2015 sustainable development goals, and Professor Timmer’s lecture provides many important lessons. Further research into the role of structural transformation in the development process is undertaken in the current research programme of UNU-WIDER. View the WIDER Annual Lecture on Managing structural transformation post-2015. Selection of images from the WIDER Annual Lecture 18.